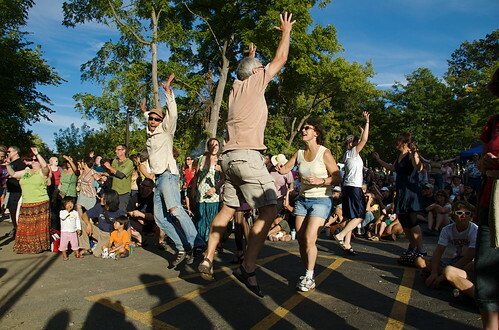 Saturday's portion of the World Music Festival in Madison, WI, took place in conjunction with the annual Willy Street Fair. All afternoon and evening bands imported from various parts of the world played, for free, to delighted crowds. 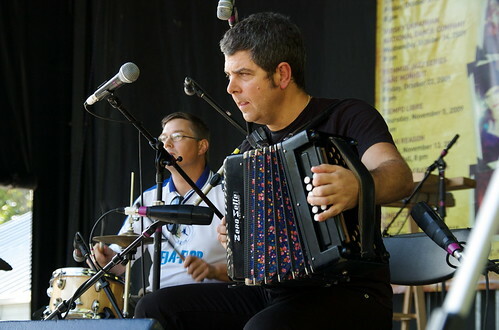 First up was Kepa Junkera playing Basque Country, and featuring Madison's own Robert Schoville sitting in on percussion. 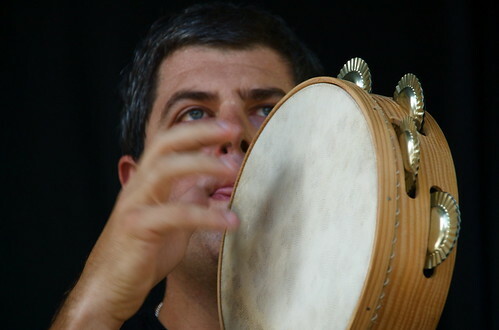 I don't know exactly what the Basque call this instrument, tamborine, riqq, pandiero, but man he sure could play it! Awesome. Next up was a return visit of the Dragon Knights (see prior post). They were followed by a musical act that blew the minds of the audience. I spoke to a dozen people whose minds were reeling after the performance. This was Hanggai from Mongolia. 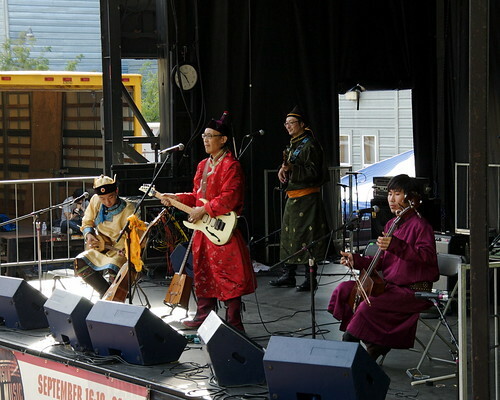 Their music, described by Pitchfork as “traditional Mongolian folk music and instrumentation project[ed] into a loosely rock-based structure…creating something new and exhilarating in the process.” The instruments were unusual to our ears, the structure different, and the throat-singing an amazing oddity. The crowd continued to swell as they played, drawn in and captured by what they heard, and were jumping around by the end. Fortunately CDs were available! And there was more to see, and experience, and eat, and hear. There will be more posts, so stay tuned. In the meantime, view my larger slide show of photos HERE. And did I mention that the Willy Street Fair really gets going TODAY? What a great city! I plan to catch Yid Vicious at noon, right after the parade. 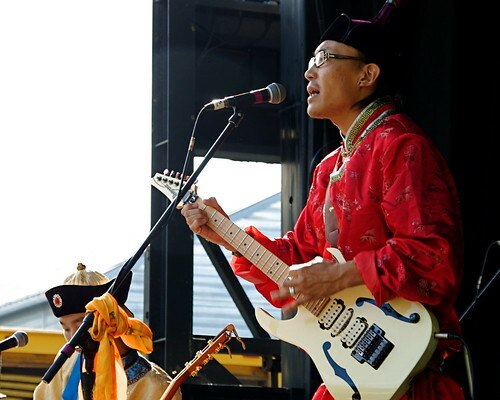 If you liked Hanggai, you might also like Altan Urag.